Robert Paul Tucker was born on December 21, 1963, in Cleveland, Ohio, to Ethelstine and Robert Tucker. He was baptized in the Holy Spirit at the age of 14, at Christ Temple Apostolic Church located in Cleveland, Ohio. Robert was very grateful to his Grandmother for this. He knew instantly that the hand of God was upon him and in a mighty way. Robert was blessed with the gift of Prophecy at an early age and adhered to his calling. Robert graduated from Palisades Charter High School, Los Angeles, California in 1982. He was a life-long learner pursuing education at University of Kansas, KU Certified Public Management Program and Mid America Nazarene University, where he received his bachelor’s degree. Prior to pursing his dream of owning a business and as an Executive Producer, Robert worked for Johnson County Government, Kansas for twenty-three years. He was a member of various organizations and had many accomplishments: KU Football Team Captain, 1986;National Association of Counties: Leadership Committee, Board of Directors, Audit Committee Chairman, national and regional conference presenter; National Association of Counties Information Officers (NACIO): Past President, Treasure, Conference Speaker; City-County Communications and Marketing Association (3CMA): Past President, Conference Presenter; University of Kansas Alumni Association; Mid America Nazarene University Alumni Association. Robert was a man of God, he devoted himself to the Lord and even through tough times, he leaned on his Father in Heaven to carry him through. Robert never met a stranger and had an unselfish love for everyone; he always prayed for others and offered words of encouragement. Robert was lifted into eternal life on September 21, 2016. He was surrounded by loved ones during his journey. He was preceded in death by his parents; brother, Michael Anthony Tucker and nephew, Edward Thomas. 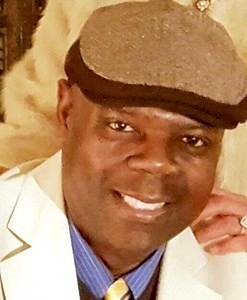 Robert is survived by his loving wife, Celeste Tucker; daughters, Tayhlor Renee, Carmen Leenae and Olivia Ann Tucker; son, Robert Zachary Tucker; step-son, Joshua Brown; sisters, Fannie Mae Griffin of Rancho Cucamonga, CA, Wanda Denise Tucker of Los Angeles, CA, and Judith Renee Grady (Anthony) of Los Angeles California; uncle, Charles Lee of Birmingham, AL; aunts, Mamie M. Tucker of Cleveland, Ohio, Willie Mae Crews of Birmingham, AL; nephews, Christopher Pearson (Jenna), Geoffrey Scott(Heather), Sean Smith and Jayden Grady; niece Ashley Grady; great niece Peyton Pearson; and a host of loving relatives and friends who loved him and will greatly miss his presence. Robert was very grateful for his brothers and sisters in Christ at Prairie Center Church of God, The Healing Room and the Barn. Prophet Robert Paul, you have touched so many hearts and will be greatly missed. Visitation will be Wednesday, September 28, 2016, at 10:00 am at Penwell-Gabel Funeral Home, Olathe, KS, followed by funeral services at 11:00am. Burial at Oaklawn Memorial Gardens.